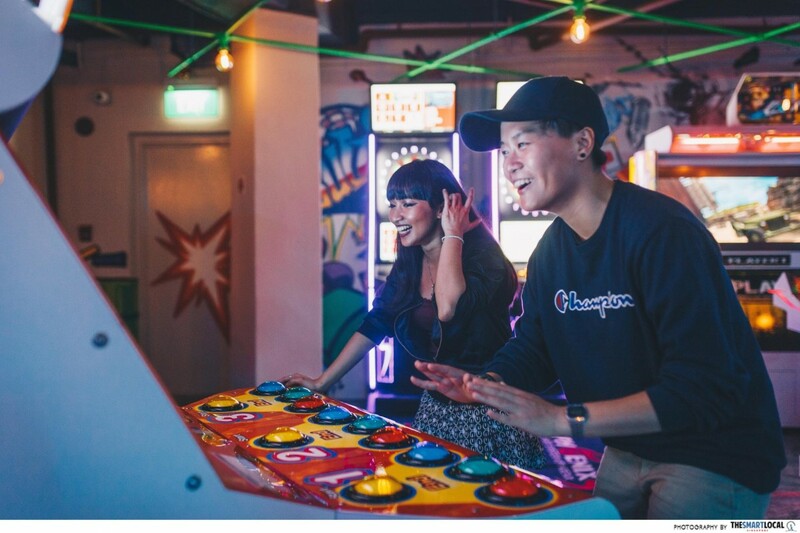 We’ve seen a handful of cafes with board games, and bars with karaoke and darts machines spring up in corners of our island over the past few years - bringing an element of novelty to our usual hangout sessions with friends. 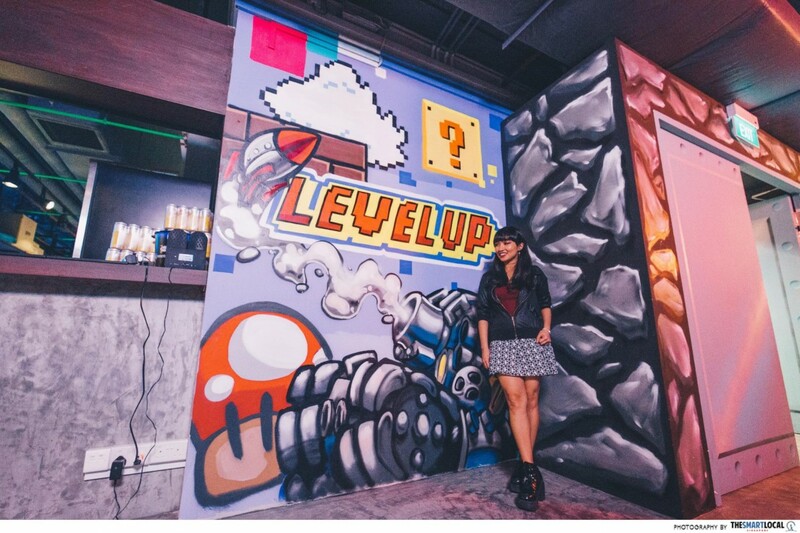 Right from the get-go, you’ll know that Level Up isn’t any ordinary bar. 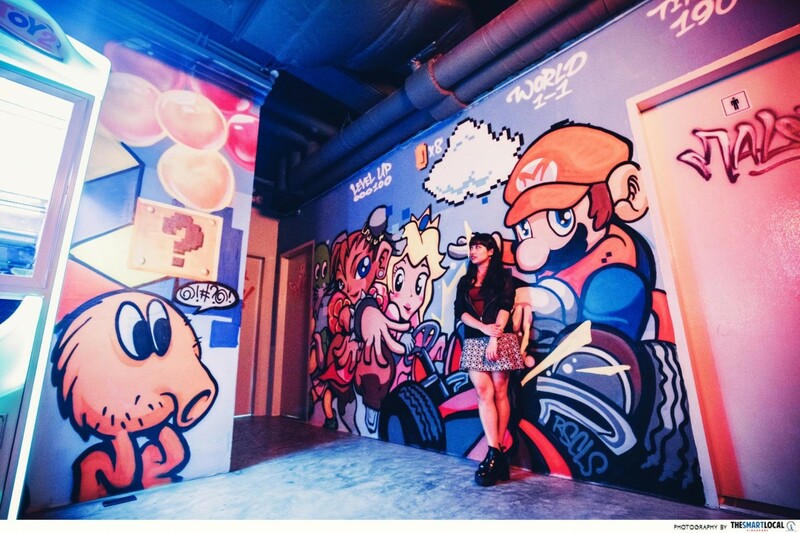 Stepping in, you’ll be greeted with bright graffiti murals featuring characters from your favourite childhood video games - such as Street Fighter’s Chun-Li and Bub the dino from Puzzle Bobble - all expertly spray painted by local street artists! 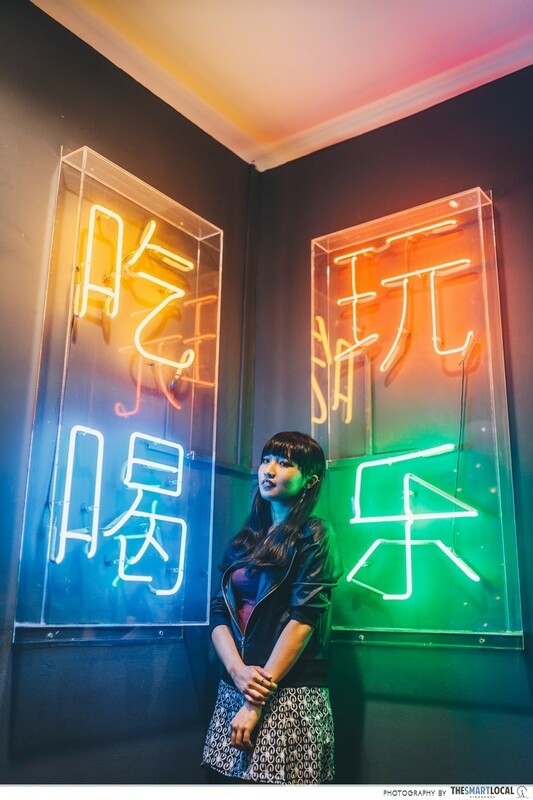 It’s all in the details here; In a throwback to pop culture of earlier decades, neon signs with comic book onomatopoeia like “KAPOW!” and “ZAP!” add some colourful quirkiness to the pillars. 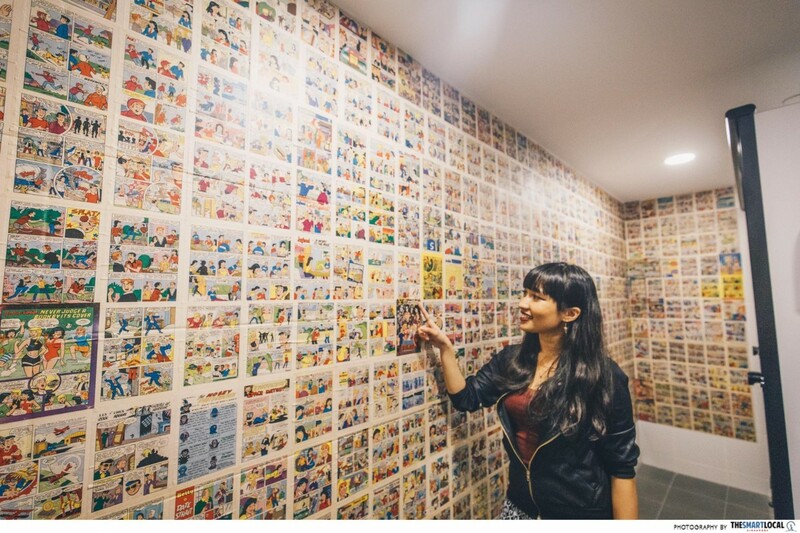 Even the toilets aren’t forgotten - they’re lined with hundreds of pages from old Archie comics! 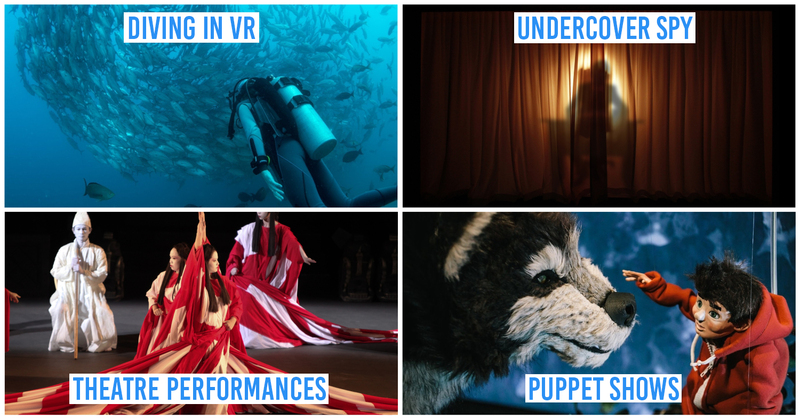 Now you’ll have something other than your dying phone to pass time with when bathroom queues get long. 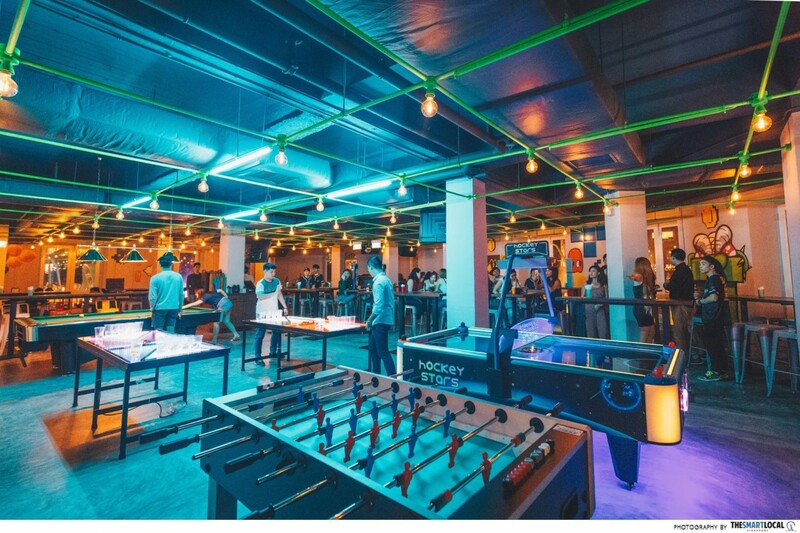 Level Up’s motto is “Eat, Drink, Play” - which you’ll see emblazoned in LED lights over their bar counter, as well as in Chinese characters at the entrance. 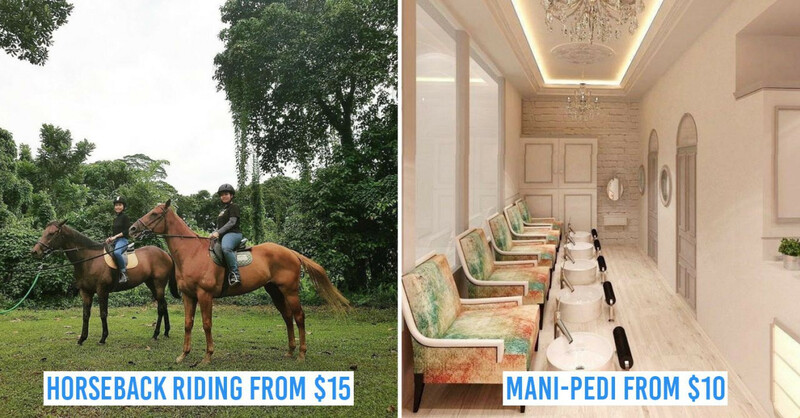 The latter has already fast become a hotspot for that mandatory photo op. 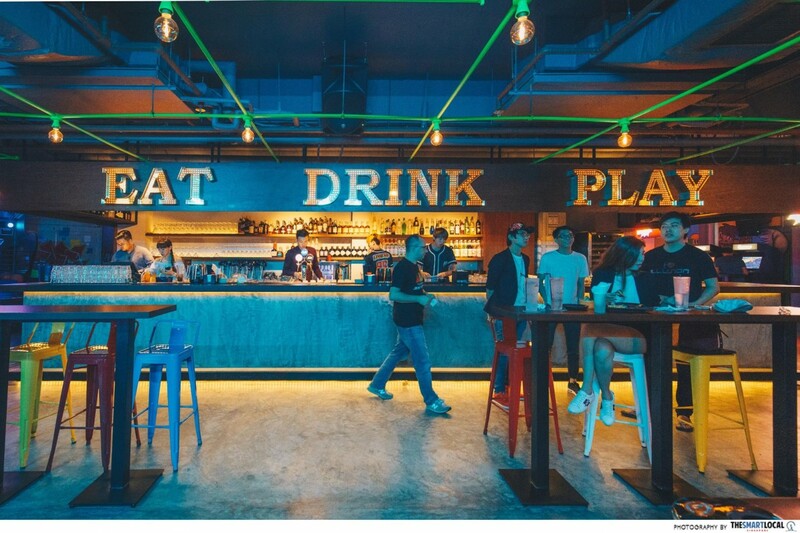 Come on Tuesdays to Saturdays and you’ll be serenaded with live performances by young local musicians like Anastasia Francis, DJ Marcus, and Wayne & Wayne. 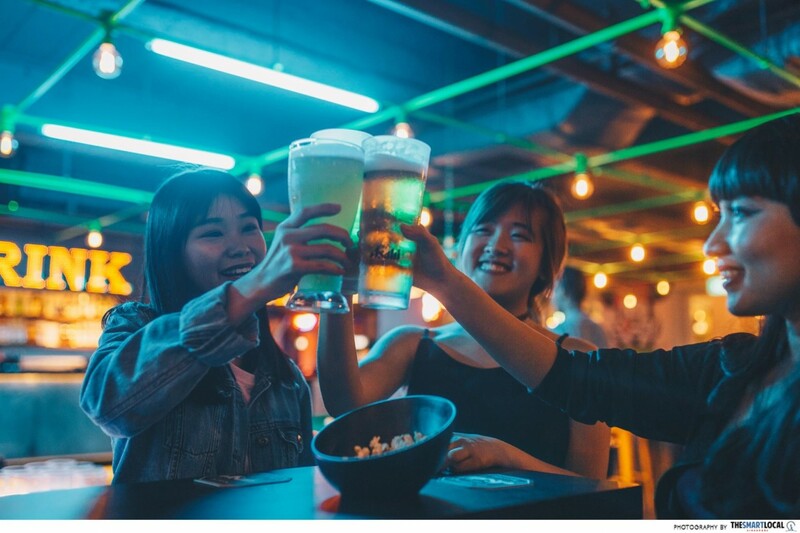 Level Up offers the standard drinks you’d find at most bars, at the usual prices - beer from about $9, and cocktails like Margaritas and Daiquiris for about $16. 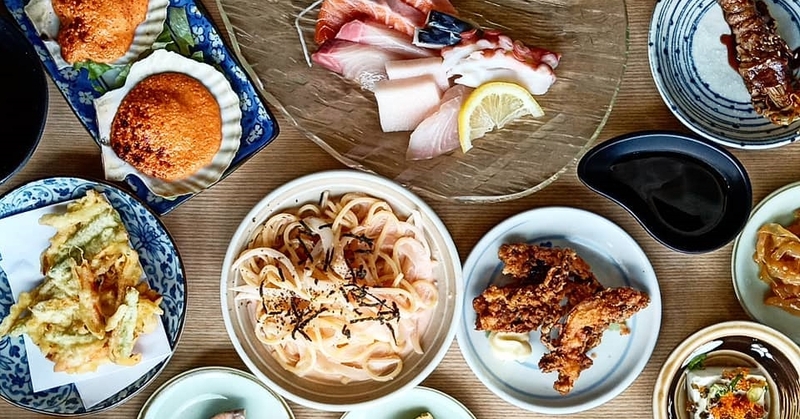 Of course, it’s never ideal drinking on an empty stomach, so they’ve got a couple of bar bites and small meals on the menu to get you raring for the fun night in store. 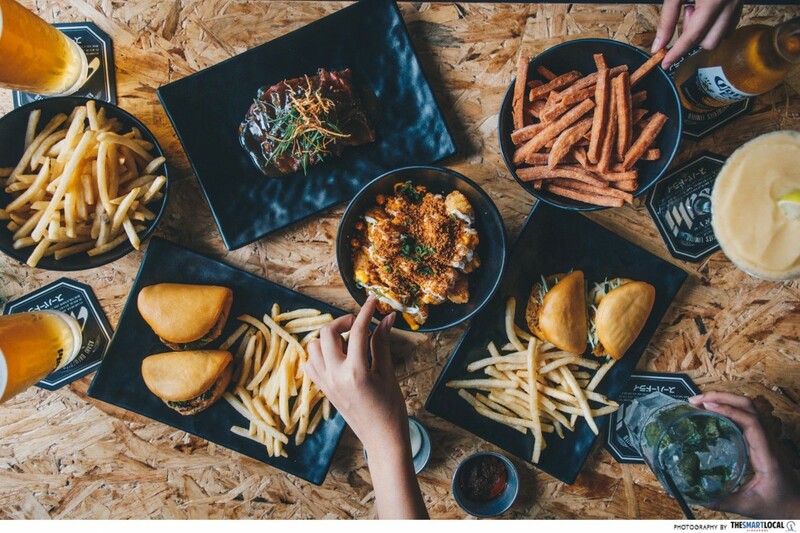 Apart from the usual suspects like Truffle Fries ($12) and Luncheon Meat Chips ($10) which are suitable for sharing, there are also more substantial picks like the tender Short Ribs ($25) and Mini Asian Sliders ($15) - perfect for if you don’t have time to grab dinner on the way over from work. 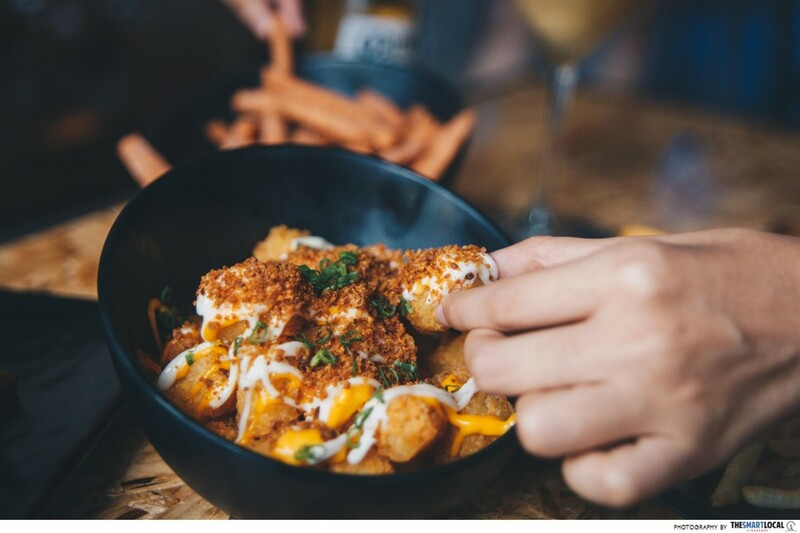 The Typhoon Tater Tots ($12) topped with nacho cheese and soy crumbs were particularly addictive! 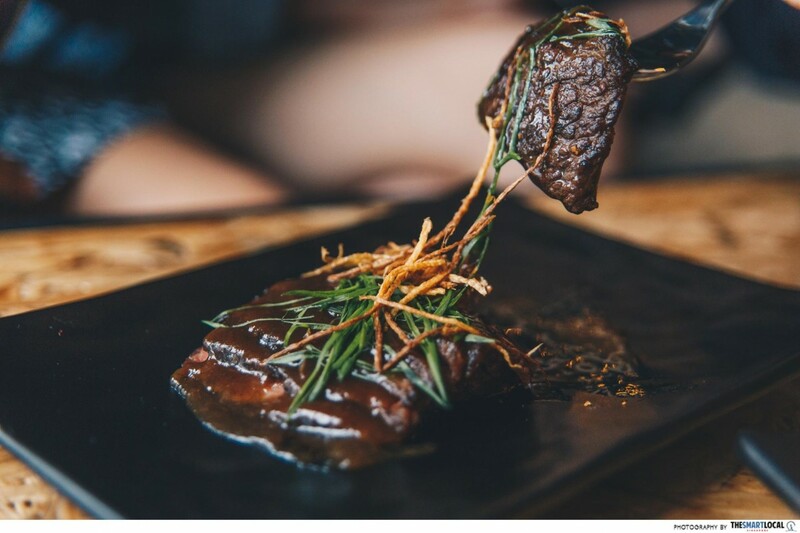 Every food or drink order will get you game tokens, and the number of tokens you’ll receive depends on your purchase. 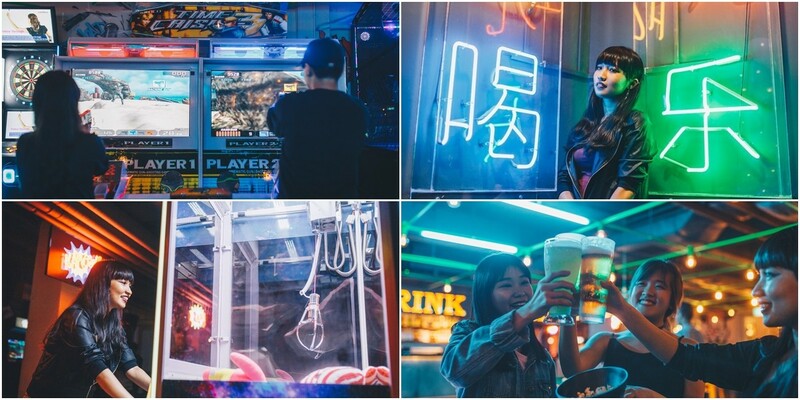 One drink will get you 2 tokens, which is just enough for 1 game. 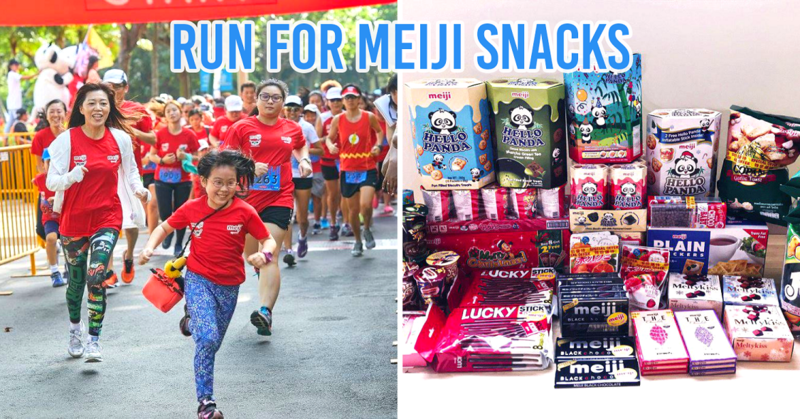 To add on to the good news - Level Up offers daily promotions for snacks and drinks. 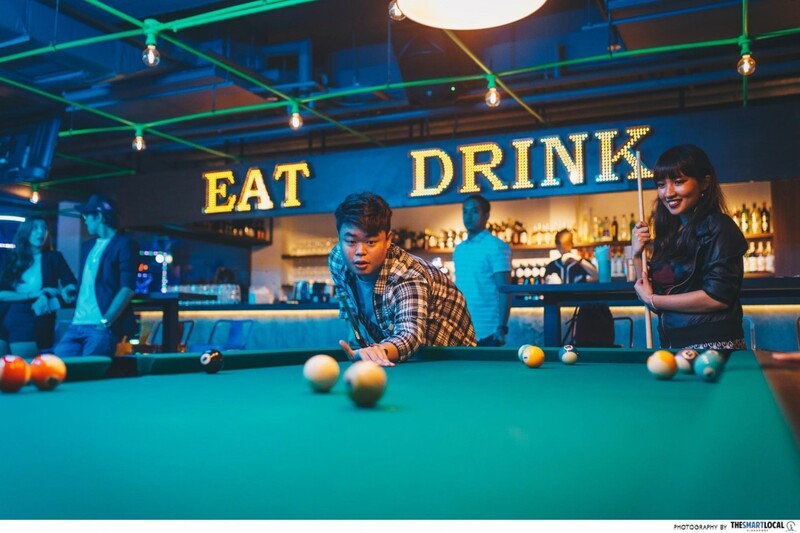 Just to name a few: Punch Bowl Tuesdays will get you a punch bowl at $88 with 10 free tokens, Ladies Night Wednesdays lets gals enjoy 1-for-1 Martinis with 2 free tokens, and Cabin Crew Saturdays allows flight attendants to enjoy unlimited free tokens. 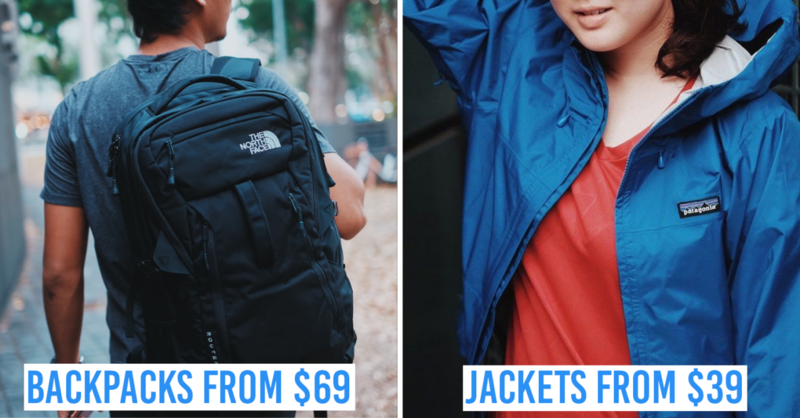 Check their Facebook page for promo updates, or drop them a message to find out what awesome deal is up for the day! 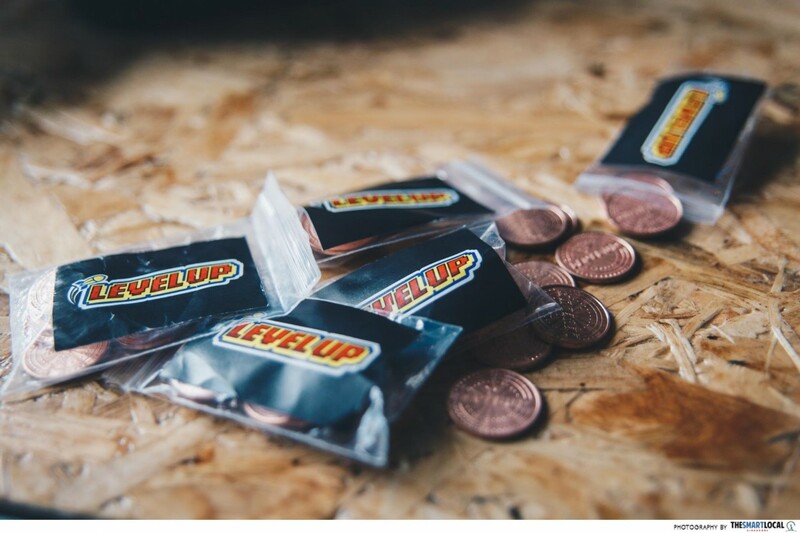 Here’s the math: depending on the chosen quantity, you could be getting tokens from as little as below $0.70 per piece, which works out to less than $1.40 per game. A pretty good deal, considering that games in actual arcades can go over $2 these days. 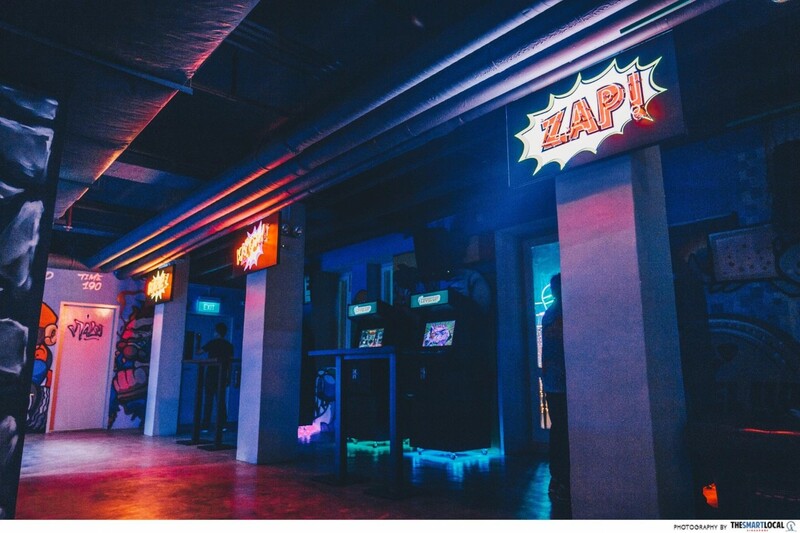 On one end of the neon-lit premises is a row of 4 old-school arcade machines - the joystick-and-buttons type that 80s and early 90s kids would be familiar with. 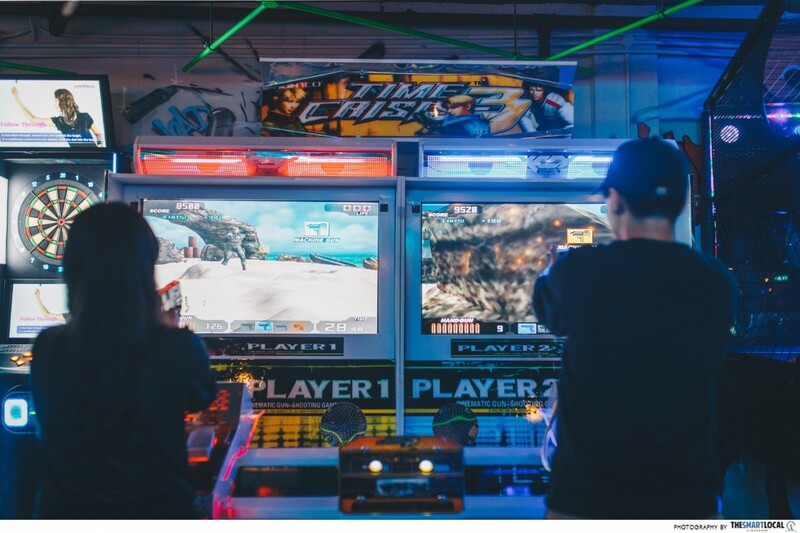 Get high on nostalgia as you battle it out in a game of X-Men vs. Street Fighter, Puzzle Bobble, King of Fighters, or the classic all-time fave, Metal Slug. 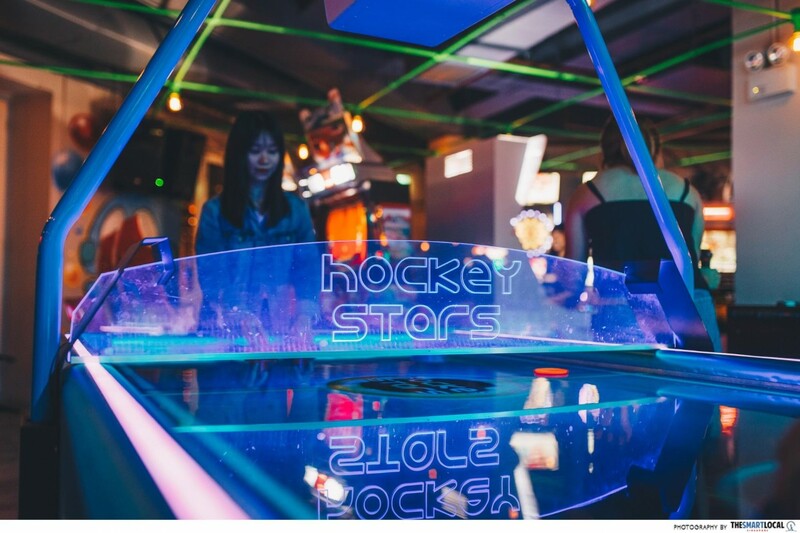 At the other end, you’ll find more contemporary games like darts, Time Crisis 3, air hockey, and even basketball machines. Here, you’ll also be able to drink and drive without worrying about consequences - on the racing machines, at least. 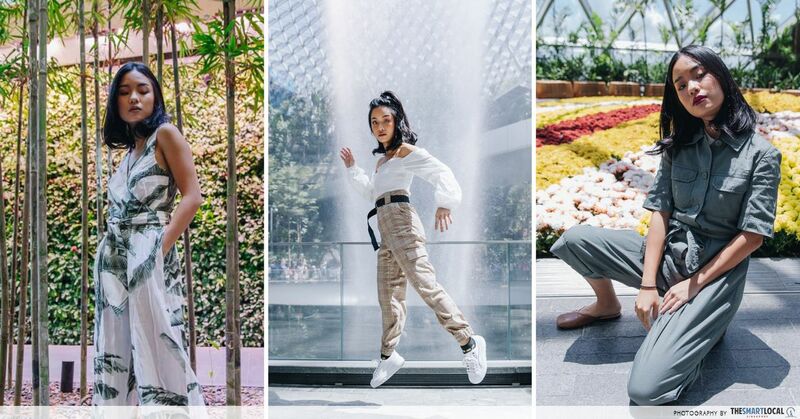 Always feeling “extra” because you’re often tagging along with a couple as a third wheel? 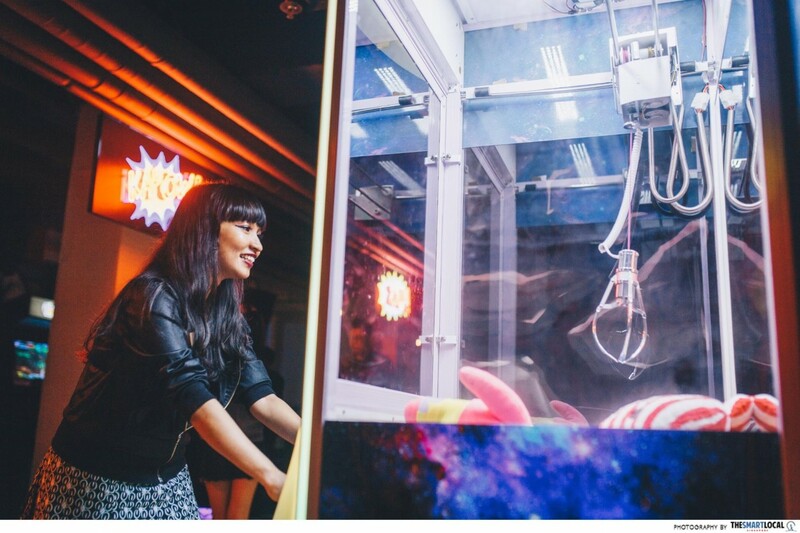 You won’t be left out with the Bishi Bashi game, which can take up to 3 players! There’s also a claw machine filled with plush toys - including some from Craftholic. And yes, just like at regular arcades, you get to keep anything you catch. 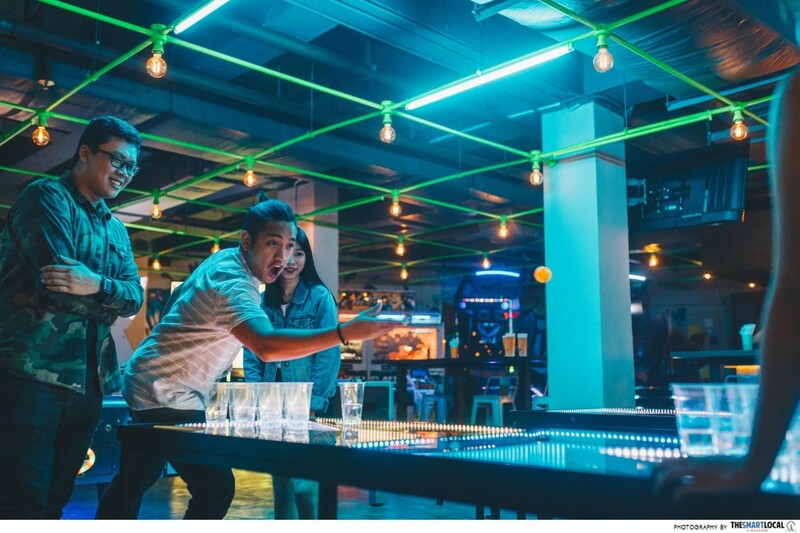 Other than challenging each other on coin-ops, you can also put your accuracy to the test by shooting pool, holding a friendly foosball match, or gathering around for a cheeky game of beer pong. Now there’s no longer a need to take a vote or play “Scissors, Paper, Stone” over where the squad heads to for night activities. 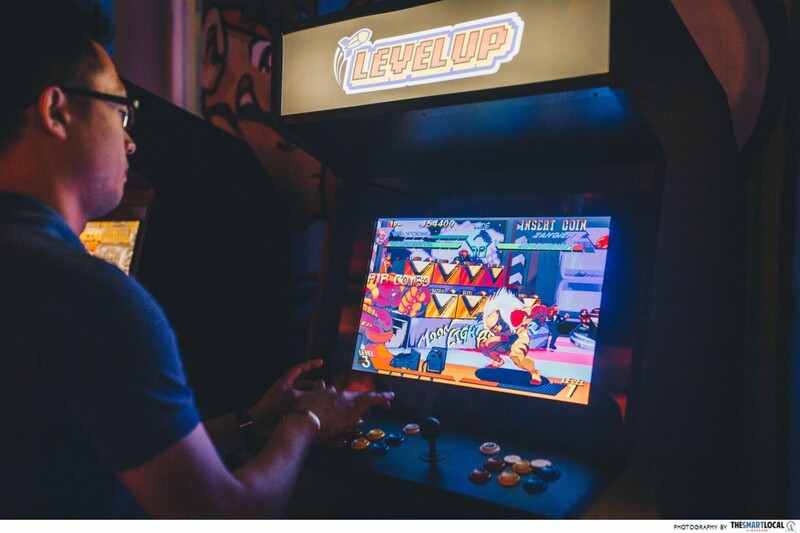 At Level Up, you’ll get the best of both drinking and gaming - so even the lightweights or teetotalers of your crew can enjoy a wild time into the wee hours. 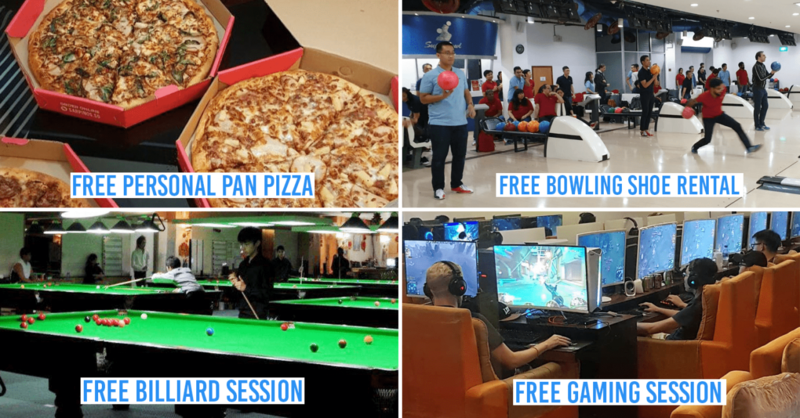 In fact, Level Up is pretty family friendly, and welcomes kids with free entry and free play on Family Sundays. 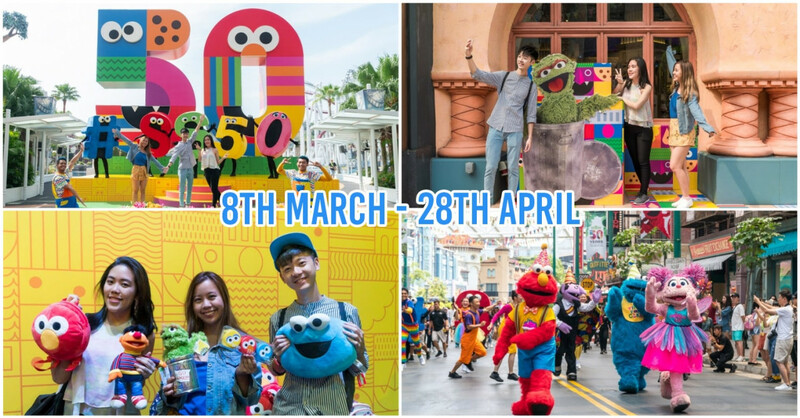 So anyone - whether young, young at heart, or with young ‘uns in tow - can head down to experience all the wholesome fun in store!